I believe this is the oldest class picture I have going back to the earliest days of Humanities I in Action, which started in 2003. This blog entry provides information about social conscience education that I began gathering at the onset of the course, but has not been shared so directly. First, I present a summary of the current Humanities I in Action curriculum, which has truly been a work in progress over the last 15 years, but has finally come – with the addition of couple of key changes in the last two years – to a stable place. Second, I share the 18-step “Journey of Social Conscience” model from my research about the impact of a course like Humanities I in Action. In the past I have referred many times to the triangles that summarize this impact, but now I want to publish the entire narrative form of that journey. Despite its length, then, this entry is the most succinct summary of the Humanities I in Action curriculum and its impact on students on the blog. If I had one gift to offer the world, it would be the Humanities I in Action curriculum, for no other course has so powerfully served as a wake-up call for students to the drama of a meaningful life. Certainly the stage is set by the dual crises that we face today – a global array of life and death challenges and a rising tide of depression. What I have found in the last 15 years of teaching this course is that it is possible to engage high school freshmen in materials that deal with the first challenge, implicitly offering a personal call to each student to develop understanding, empathy, and self-efficacy on behalf of a world in need; these inner qualities simultaneously begin to heal the second crisis, young people’s sense of purposelessness. Like sounding a bell at a temple, exposure to the world’s problems in Humanities I in Acton strikes an ennobling internal resonance in students’ hearts, “You are needed in the world!” Responding to the world’s suffering can tend to the melancholy and even ennui that seems rampant among adolescents. Before sharing the Humanities I in Action curriculum, it first seems helpful to offer some school context. After some years of experimenting with interdisciplinary classes taught by members of our English and Social Studies departments, in 1997 the school administration combined English, Social Studies, and Religion disciplines into a single, interdisciplinary Humanities Department. All 25 members of the department share one large office space that facilitates an unusual level of collaboration and camaraderie. For some years already, the school had taught a required interdisciplinary world cultures course for incoming grade 9 (14-15 year olds) students called Humanities I. The course combined English and Social Societies for 80 minutes daily, which provided a substantial amount of time for in-depth exploration of various cultures, such as India, Africa, China, and Japan. In 2003, then, I proposed a variation on this course called “Humanities I in Action” that students could opt for rather than the regular course. The “in Action” addendum indicated that students would commit themselves to approximately ten Saturday service or experiential learning activities, including a four-day, three-night trip to a Chinese orphanage about four hours by bus from Hong Kong. This meant that from day 1 of their high school career, students were choosing a course aimed at social change that required an additional time commitment over the standard offering. We capitalized on that commitment from the first day of class. When the course was first implemented, the curricula of the two courses had substantial overlap, with the main difference being the service experiences. However, through an organic process of listening to students tell us which materials they found most engaging, the curriculum evolved into a thematic and somewhat idiosyncratic exploration that was vastly different than the original Humanities I focus on culture. Today neither course is clearly seen as the more academically rigorous; the “in Action” class has approximately the same intellectual range of student abilities as the regular course, even if at times the course is perceived as more “hands-on” and therefore less challenging. However, students who have taken the course come to find out that this is definitely not the case. Maintaining the academic integrity of Humanities I in Action is a non-negotiable for our teaching team; since students “vote” with course sign-ups every year, our survival depends on student and parent satisfaction with the overall experience. It should be evident that certain aspects of our particular context have contributed significantly to the course’s impact upon students: a large amount of time, a commitment beyond the classroom, student buy-in from day 1, and an unusual degree of curricular freedom. After 15 years of actively developing the course curriculum, we have finally reached something of a stasis point where we feel quite satisfied with the curricular narrative. Yet at the same time, there is still room in the curriculum for innovation. New teachers of the course value the balance we strike between an established curriculum and the flexibility to introduce new materials or even whole units, if we see fit. For example, the past-present-future progression of the second semester was just implemented two years ago, and Pinker’s materials in the present unit were added only last year. The curriculum is considered a living document, which keeps the teachers and students engaged in its development. From day 1’s fair trade chocolate activity (chapter 3), we challenge students with the question, “Is ignorance bliss?”, which becomes a main theme of the first semester as we bombard students with distressing social issues and disturbing human behavior. This “shock and awe” assault is necessary, students tell us, to burst their bubbles of ignorance of and apathy about the world. Once students understand that the world is in great need in semester one, semester two asks them, “Can I make a difference?” While there are still disturbing issues – particularly humans’ relationship with the earth – in the latter half of the year, the second semester’s focus is on students taking action, which is most clearly seen in the long-term Elixir Project. “Worldview Matters” – In order to make a difference in society, it is important to recognize that every effort to introduce change emerges from a belief system. 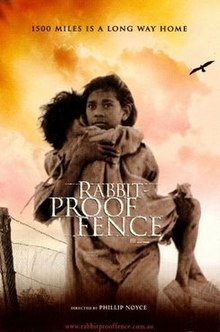 We study many examples – featuring the movie “Rabbit-Proof Fence” about Australia’s “Stolen Generation” – that demonstrate how even well-intentioned change makers can make decisions that have disastrous consequences. This caveat necessitates a deeply reflective study of human nature and human behavior before any attempt to “take action. Assessments: summary writing of a NY Times op-ed piece; an in-class essay in which students explain why it is important to study worldview in a class that aims to make a difference in the world. “Human Nature and Human Behavior” – We read William Golding’s novel Lord of the Flies, watch Philip Zimbardo’s 3-part BBC series called “The Human Zoo,” and study the Milgram Experiment and the Stanford Prison Experiment to appreciate the dark side of human nature. While the method is to consider the psychology of human consciousness and the sociology of human behavior, the overall emphasis at this point in the course is more on what’s wrong with humans than what’s right. Along with Ralph in Lord of the Flies, we are trying to understand “what makes things fall apart,” or as Simon struggles to articulate, what is “mankind’s essential illness?” This intense and disturbing exploration of the psychology of evil along with the sociology of the group script are necessary, students tell us, to burst their bubbles of complacency. 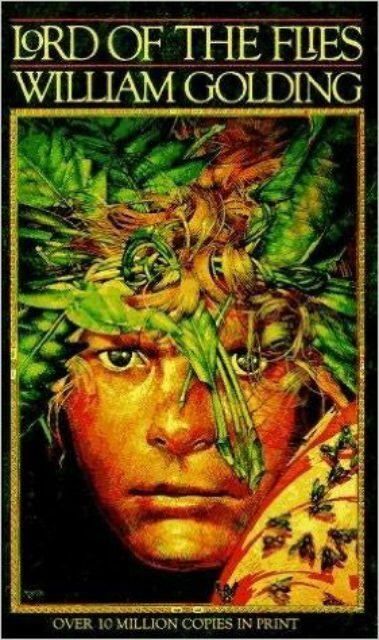 Assessment: literary analysis of Lord of the Flies. Assessments: students document their reading of a genocide memoir through a personal response journal; group presentation of their book. Chinese Orphanage: Usually in November we take students to an orphanage in southern China to explore both the consequences of a particular government policy – the one-child policy – as well as give students both individually and as a class an experience of providing care for someone in obvious need. Repeatedly, students have explained that this trip, more than any single material or experience, was their wake-up call to suffering in the world. As one student stated, the orphanage trip “made everything else [we study] real.” The most eloquent and paradoxical statement that I mention to every class I take to the orphanage was a comment made by a student named Bethany (pictured at right) many years ago, “Service scars you in the most beautiful way possible.” Coming back from the orphanage trip gives us the opportunity to talk not only about what’s wrong with humans, but also what’s right because they see the natural empathy that emerges from themselves and their classmates. When they return we read the Chinese novel To Live by Yu Yua. 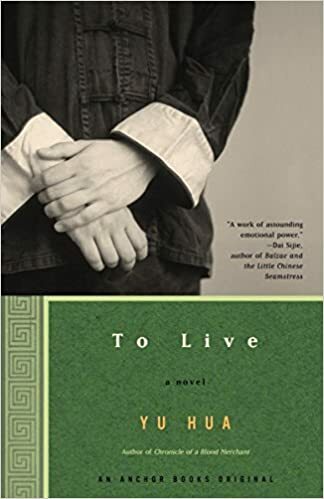 Despite the tragic events that he recounts from World War II through the Cultural Revolution, Yu Hua’s moving narrative describes a rich young man’s journey from arrogance to virtue through the suffering he and his family endure. We hope we all can cross over the river, as the lead character Fugui does, from ignorance and hubris to wisdom and compassion. Assessment: personal narrative about the orphanage experience (or another life experience). Elixir Project: The second semester’s key question is, “Can I make a difference?” We begin by having students create a community-based project to work on throughout the semester, whether the focus is at school, the Hong Kong community, or other areas of Asia. On the first weekend after the Christmas break, we host a half-day mini conference called the “Service Summit,” which presents former “in Action” students’ projects as well as off-campus community speakers to inspire their Elixir choices. They work on their project throughout the semester and present it at end of the year. Follow their choice of topic, students write a research paper in an related to their Elixir Project. Assessments: Research paper on area related to their Elixir Project; end-of-year Elixir project presentation. The Past: The rest of the semester, then, asks students to consider the interrelationship of major themes of the 21st century – environmental destruction, economic development, and human well-being – through provocative materials that offer interpretations of our past, present and future. 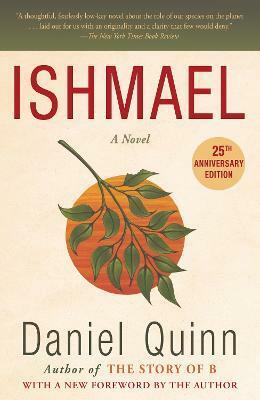 We first read the novel Ishmael by Daniel Quinn, the most impactful book of second semester, which prompts students to consider the underlying causes of planetary destruction. Students wrestle with Quinn’s accusation that about 10,000 years ago a cultural shift occurred in which Leaver Societies – best represented by aboriginal cultures – were overtaken by those with a Taker mentality, which prioritizes the growth of the human species without limits. During our reading of Ishmael, we also frequently look at a variety of pertinent modern issues relate to the environment and globalization, such as population growth, advertising, and climate change. Assessment: content-based objective test with some short and long answer questions on concepts in Ishmael. The Present: In contrast to the alarming diagnosis contained within Ishmael, we do a speech project using Steven Pinker’s Enlightenment Now, which argues that rather than haranguing ourselves over our missteps and overreach, it is more useful and true to the historical record to recognize the tremendous progress in nearly all areas of human development in the last several centuries. Rather than raising an alarm about contemporary society – our more common pedagogical strategy – Pinker’s articulate counterargument suggests that we need to appreciate how far we have come and trust the trajectory of progress that we are riding rather than scolding students into action. This is an uplifting change after Ishmael’s dire cautions, although which is the better approach is left to students’ personal interpretations. Assessment: speech based on a chapter in Enlightenment Now. The Future: We finish having students read dystopian novels which extrapolate current trends into the future. 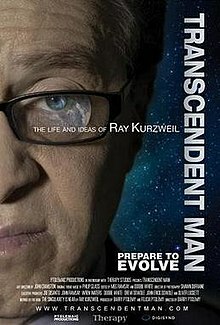 At the same time, we watch the documentary “Transcendent Man” about inventor Ray Kurzweil, who believes he can defy death through technological development. We bring in guest speakers, too, who alternatively excite and caution students about technology in the future. Once again, students see the relationship between worldview beliefs and the actions people take, especially with regard to humans’ relationship with nature and the cosmos. Assessment: read a dystopian novel and keep a personal journal response. End-of-Year Assessments: The conclusion of the course asks students to share their Elixir projects. Have they truly been able to make a difference, as we asked at the beginning of the second semester? We also have them again write again worldview essay at the end of the course. The final weeks reinforce that the key ideas in this course are making sense of the world, developing empathy, and taking action. For all of the far-reaching personal changes that we aim for, perhaps it’s helpful to note that a visit on most days would reveal what feels like a normal English or Social Studies class. The tone is far more academic than one might imagine; it is not a support group or a laboratory of social activism. That being said, the emotion-laden nature of the material and the explicit expectation from day one that our goal is to “make a difference” creates an underlying sense that somehow this course really matters far beyond the common educational outcomes of building students’ academic skills or remembering a specific body of content. Flag day (September): a Hong Kong fundraiser in which students can “sell flags” or stickers to people on the streets in exchange for a small donation for a government-approved charity. Refugee Kitchen (October): Students pay for a lunch hosted by Rwandan refugees with associated activities to help them learn about the situation of asylum seekers in Hong Kong and in preparation for studying the Rwandan genocide. China Orphanage trip (November): A three-night trip to an orphanage in southern China. Environmental Experience (March): Visit to nature sanctuary where we engage in a series of nature-related workshops. Beach Clean-Up (May): A two-hour clean up of a local beach followed by lunch. We have fewer activities during second semester because students need time to do their Elixir Project. Dialogue in the Dark: Run by a social business, this is a 75 minute simulated “walk through Hong Kong” experience in total darkness with 7 classmates and a blind guide to understand the challenges faced by the visually impaired. We attempt to link specific service events or experiences to relevant units, although given the complexity of schedules and venues, the connections are not always as clear as we would like. Even when the curricular resonances aren’t pitch perfect, however, the out-of-the-classroom experiences build class spirit and again remind students that this course involves real world issues. The big question for teachers is, of course, what difference does this kind of curriculum make in the lives of students, a main objective of my dissertation research. Drawing upon my focus group interviews with students and documentary analysis of their essays and other writings, I developed the two figures (below), which describe student growth from awareness to perspective transformation; emotional engagement to empathy; and action to self-efficacy, all in terms of an increasing sense of relatedness between themselves and the world. 1. While living in our bubble of affluence, we have a vague understanding that another world exists in which others suffer and have much less than we do. 2. The most common way we awaken is through first-hand experiences with those who suffer outside of our bubble, which causes us to question many of our basic assumptions about life. 4. Learning about the world requires us to consider the suffering of others, which causes a range of disorienting and at times overwhelming feelings: confusion, compassion, shock, anger, sadness, helplessness, and hopelessness. 5. We especially feel guilty that we have so much and so many outside the bubble have so little. 6. These intense feelings and questions cause us to react in different ways. For some, we resist this knowledge and its implications for us, while for others we feel energized to make a difference in the world. 7. At some point the burden of studying the world’s problems is reconsidered as we experience the happiness of contributing to the needs of others. 8. Making sense of the world occurs as we experience the connections; material, physical, emotional and spiritual; between the two worlds. At times we sense the world’s interconnectedness. 9. One of the most important parts of our personal growth is the formation of our own opinions, values, and beliefs about human nature, human behavior, and social issues. 10. We begin to feel that our world has expanded and that we have gained a sense of the ‘big picture’. 11. An important part of our personal journey is the social dimension. We talk with our friends, we make deeper friendships, and we experience the growth process together with our peers. 12. We feel that we have made remarkable personal growth on our journey. Yet at the same time, we feel that our transformation is far from complete. 13. Upon reflection, we realize that the path out of our bubble has involved realigning our understanding of the relationship between ourselves and our world. 14. Oftentimes the first way that we act on our developing social conscience is to talk to our family and friends about our new ideas, concerns, and questions, which sometimes causes tension, especially with our parents. 15. We exercise our social conscience through consideration of our daily lifestyle choices. 16. We feel that while exposure plays a vital role, at some point a decision to act needs to be made or a stand needs to be taken. 17. Personal experiences in which we see that we have made a difference in the lives of others, especially when we exercise leadership in this endeavor, facilitates the belief that we have the knowledge and ability to effect positive change in the world. 18. We commit ourselves to continue the journey of social conscience through further self-exploration for the purpose of benefiting society. Year after year students share aspects of this narrative journey as they make their way through the Humanities I in Action course; it is an utterly predictable trajectory for students. It is incredibly valuable, then, for teachers to understand and trust the deep psychological impact that the curriculum makes as they mentor students through this transformative process. Many years ago, I wanted to find the power of transformation in education. Through a long personal exploration, I discovered the great promise of social conscience education: that through an integrated curriculum that combines elements that engage students’ minds (awareness), hearts (emotional engagement), and hands (action), they begin walking a path of transformation. While living in a bubble of affluence, there is a vague understanding that another world exists in which others suffer and have much less. condition, or away from the walking stick of a blind person . . . My parents were, I found out later, like many other Hong Kong parents in that they didn’t want me to have too much contact with the more marginal parts of society. population into two worlds. One was the one I and many others lived in, while the other, was the one that the ‘unfortunate people’ lived in; the kind of people that you see on the news every day, struck by some tragedy. They were ‘different’ from us. The most common way to awaken is through first-hand experiences with those who suffer outside of the bubble, which causes a questioning of many basic assumptions about life. For me it was the Foshan trip. It brought out all the emotions like happy, sad, scared, guilty I guess—so before people say the poor people are happier than like you the rich people and I was going along with those like okay, whatever you say. Then I went to the orphanage and I actually experienced it. I saw the kids—they don’t have much but they’re really happy. I realized when I looked into myself and I’m like, am I actually happy and that just brought a lot of questions. Honestly, I still don’t know what the definition of happiness is. In sophomore year, I went on a service interim to Mongolia. It was the most eye-opening experience I have ever had. What stayed with me the most . . . was coming into contact with street families that gave me the biggest paradigm shift. We had the chance to go down manholes where many street families lived . . . When I emerged from that hole and smelled the brisk, fresh air, I felt relieved to be out. At the same time, I felt so guilty because I do not deserve to be well-off any more than they do, yet our fates turned out so differently. This experience shattered conceptions that my parents instilled in me as a child. All along, I believed that poor people are poor because they are lazy, and the government should not help them otherwise they would just leech off the country’s wealth without doing anything. Now I am ashamed I ever felt that way because the homeless I met in Mongolia were trying their hardest, picking up bottles and whatever trash they could find on the streets to sell. A realization emerges of being trapped in a bubble of ignorance and selfishness. The bubble indicates the separation that I sometimes feel from the rest of the world. The ‘before’ picture is of a person being blindfolded, unaware, and ignorant. The ‘after’ picture is the same person without the blindfold, but still in the bubble, indicating the fact that I can still feel that I am trapped in the bubble, but no longer unaware. Before the Foshan trip, I felt like I had two solid, continuous walls on each side of my face, giving me a straight, narrow outlook of the world. Caught in my own selfishness . . . I focused too much on myself. I can honestly say that I never seriously considered the unfortunate vast majority of the world. Once I experienced spending time with orphan children who are just like you and I, and who have not felt proper love and compassion before, I slowly began to realize truths. I felt the walls barring my knowledge crumbling away, and I was able to wake up and broaden my span of vision to the world around me. Learning about the world requires a consideration of the suffering of others, which causes a range of disorienting and at times overwhelming feelings: confusion, compassion, shock, anger, sadness, helplessness, and hopelessness. I went into this course thinking that I already knew there was suffering in the world, I already knew life was unfair and people were dying, but that knowledge was tucked away, deep in my heart where I could avoid it at all costs and pull it out only when it was necessary. This course literally pulled that knowledge out of me and with it came compassion, sadness, sometimes anger, and for the first time in my life I felt motivation to do something about it. world, yet we can’t do anything about it. A feeling of guilt develops that the affluent inside the bubble have so much and so many others outside the bubble have so little.While I was living a materialistic life for the past thirteen to fourteen years . . . I realized that living that kind of life places a lot of guilt on me. I felt guilty for everything I took for granted, as well as my superficial way of living. I could see that I am destroying my inner self and well being with this guilt . . . I feel that my old desire to lead a materialistic life is destroying the animals’ happiness and I feel guilty for this. I feel even more guilty when I realize that not only am I hurting the animal species, but that I am destroying my own kind too—human beings. My superficial meaning of happiness is destroying other less fortunate human beings’ happiness. When I buy a bar of chocolate, I am supporting slavery in the modern world. When I get a new carpet, I am encouraging child labor. just run away from them, not wanting to face it. degree so I can go about my normal business. I have become a bigger part in the global community . . . more motivated to do service and have really understood the incredible impact and reward of helping others. I have grown a better sense of identity and where I stand on various political, economic, and worldview issues. I have grown so much that it would take forever to write it all down . . . [I] feel excited to bring hope to the hopeless situation from my knowledge attained in this class. At some point the burden of studying the world’s problems is reconsidered as the experience of happiness of contributing to the needs of others emerges. As I continued learning about everything that was wrong in the world, there were moments I wanted to close my eyes forever, to forget and erase and not care. The crisis in Myanmar had not abated, but no one was talking about it anymore. In Darfur, people were being burned to death, cut to pieces and shot. I was doing nothing about it, and the world did not seem to care about it, and the little they were doing wasn’t enough. I was the little child trying to plug up holes in a bursting dam of world disasters . . . I felt utterly alone and wanted to stop. Relief didn’t come until December when I went to Foshan . . . As I sat in the hotel conference room, I had a lot to say about hope and love and caring for people, but I still wasn’t sure if I meant it. In fact, it wasn’t until I walked into the nursery and saw a small, quiet baby reach for me that I began to feelsome sort of peace . . . In all my previous experiences with service, I’ve always had specific goals to help the community. I had never considered that the people I helped could give to me that inexplicable something that I was so hungry for . . . With genuine love for them and not just a mechanical mission . . . my work could have a soul and I could go on. I was bringing underprivileged female students from Deqing to an orphanage in Foshan. These girls were recipients of the scholarships that my friends and I have raised under the [name] scholarship program. They were girls from rural villages, who had never traveled, been to a park or lived in a hotel before, whose whole lives consisted of schoolwork, farm work and housework. At the beginning of the trip, I worried about how they would feel in a place full of abandoned children, having never been exposed to the concepts of social injustice and community service before. But I soon found that my worries were unnecessary, because once we set foot into the orphanage, the scholarship girls immediately found their place. They started interacting, singing, carrying and playing with the handicapped children, cutting a picture of amazing beauty and harmony. At that moment I was flooded with an ineffable feeling of happiness, similar to what I experienced in Mongolia. I felt that humanity was showing me its higher nature and demonstrating to me that everyone had the capacity to love and hence everyone, even the underprivileged and the poor, could serve and make a difference in another’s life. It was pure joy and fulfillment to see this chain reaction of one person helping another who helped another who helped another. I felt content, blissful, blessed. Making sense of the world occurs as connections; material, physical, emotional and spiritual; are experienced between the two worlds. At times, a sense of the world’s interconnectedness is felt. When I went back to visit [the Foshan orphanage] my baby . . . could tell like when I walked through [the door] that she recognized me. I guess it’s not like you have to do something huge to change the world. We learned about interconnectedness last year and so we are all connected, so if you make one little like butterfly effect, if you change one little thing, it’s going to change another thing. Through my service experiences, I not only realized (rationally) but felt, deep in my core, that we human beings are ultimately not separate from the world and each other, but are interdependent and interconnected. We have the same fundamental needs and wants, hopes and dreams, and hence we should recognize and appreciate the sacredness and beauty in the other. 9. One of the most important parts of personal growth is the formation of opinions,values, and beliefs about human nature, human behavior, and social issues. This course has done everything it could to grow and change the way I look at myself, at other people and the world . . . I became so sensitive to issues about the world and human nature that I began to get angry at people who didn’t understand. Even now I feel angry at those who do not understand the importance of major issues in the world but I think I have grown to understand other people’s viewpoints as well. This course has honestly been life changing. You realized the answers you had were other people’s answers, not your own . . . You need to come up with your own answers. When I think of Humanities I in Action, I think of . . . how you see sheep being herded and . . . I see this one lone sheep. He’s going the other way . . . Humanities would teach us how to break the shackles when you’re in the cave . . . and go out and see the sun . . . Humanities I in Action . . . was about finding truth as in the sense of once again breaking away from the herd mentality. Finding what you think is right, not what other people think is right. 10. A feeling develops of an expanded world and a sense of the ‘big picture’. 11. An important part of this personal journey is the social dimension. Dialogue with friends, development of deeper friendships, and experiences of the growth process together with peers are all important components of this journey. I think that doing a service course, what you gain from it personally or spiritually it’s not so much the service you do, but it’s the service you do in the company of your classmates. You know there are so many people suffering from diseases and poverty and conflict – I can’t do anything. If I try to do anything, it’ll be . . . such a little impact and . . .[I] think about the people who are not being helped . . . in such a black perspective . . . One of my friends said, [speaker’s name], you should not do that – you should think about how . . . if you help one person, if you make the life of one person better, then that’s enough. That really had an effect on me because I started to think about how I can help people one by one – how I can have a positive impact on the world just step by step. So I think peers talking among peers about these things really has an impact. When we went to Foshan [taking care of] the babies . . . it’s not like the actual event that really changes my life but it’s more like seeing how my classmates act in an orphanage and seeing how they take care of others and how that motivates me, and gives me hope and changes me. there is a realization that transformation is far from complete. I feel like I was a caterpillar when I began this course, and the more I learned and understood what the world was really going through, I started wrapping myself around a cocoon. I don’t think I have accomplished ‘metamorphosis’ yet where I am completely . . .transformed into a butterfly, but I believe I am in the process of doing so . . . To be honest, I do not feel as though I have changed in terms of making a difference in the world, meaning I don’t think I will be changing a lot of my daily routine, except for some small things like saving water and the reduced use of plastic bags. However, I do feel that I have changed in terms of awareness, and I hope I continue to grow. [My image is] the Allegory of the Cave. I’m kind of changed out halfway—like halfway out . . . until I get stretched to my limit . . . Right now I’m still comfortable and I’m stillin my comfort zone. 13. Upon reflection, there is a realization that the path out of the bubble has involved realigning the understanding of a person’s relationship with the world. For the half year of this class, I have been through a journey of self-awareness; a road to recognize the interconnectedness between each and everyone of us, and further, how we are all connected to the world. By the end of [the course], yeah, I know who I am and this is what I think and these are the concepts I stand behind . . . You discover it along the way . . . You reflect on yourself as a person. You reflect on the world – how it is. You reflect on how people think . . . You really thought about everything that you did and how it . . . could apply to your life. Oftentimes the first way that action motivated by social conscience occurs is talking to family and friends about ideas, concerns, and questions, which sometimes causes tension, especially with parents. Yet so many are still too comfortable in their shell to understand what I now see. I explain, but it’s hard for them to understand . . . I now notice my viewpoints differ from my parents. When I tell them my point of view on issues, it seems as if they couldn’t really agree or understand me. I’m starting to establish my own set of beliefs and worldviews. I talked to my parents and they started getting a bit mad because they thought that I wasn’t learning anything because I was talking like nonsense. My Dad was like why am I paying for this school if you’re not really learning . . . Then he was always getting mad because he was like I don’t want to buy you any more organic eggs . . . Then I talked to my Mom about things like the group pressure and about situational ethics, especially about genocide and I made my Dad read Ishmael and I actually thought he wouldn’t read it . . . I said, you have to read this book. So it was cool to be able to communicate with someone who wasn’t taking the course about the book . . . He read the book and I think both of my parents ended up loving the course. Social conscience is frequently exercised through consideration of daily lifestyle choices. Before this course, I had a selfish mind. When it came to food and other materialistic items I would always think, “the more, the better.” Now, as I’m finishing up Humanities I in Action I no longer think that way. When there is excess food, I don’t take it. When there’s materialistic items, I stop to think if I really need it, because now I understand someone, somewhere, on the other side of the world labored to make it. We were talking about sweatshops and we kind of like said how far connected are we from a sweatshop worker? Through that I kind of realized . . . every purchase that I make dictates . . . the flow of like supply and demand – basic economics . . . You just think a lot more about like simple decisions like that and how it might affect someone else’s life . . . Do we eat chocolate? Should I research on it before I eat it and clothes—should I not be buying that? It’s hard because I was so interested in fashion and it’s like, oh, what do I do now? Do I have to stop everything? You get really stressed out I think and it’s really difficult. 16. A new awareness develops that while exposure plays a vital role, at some point a decision to act needs to be made or a stand needs to be taken. pollution . . . So I just got mad because I was working out and . . . they were just in front of me so. . . I actually went up to them and I was like, hey mister, can you not smoke in the country park because it is against the law . . . Before telling them I was debating in my head whether or not to . . . One part of me was saying you know that’s kind of rude [to correct them], but another part of me was saying it’s morally right to because as a citizen of Hong Kong and the world I want to preserve [our natural world] . . . I thought I should tell them because even though they might get mad at that moment I believe in the long run I’m doing a good cause for the environment and the society. Actions that bring a realization of making a difference in the lives of others, especially when these involve the exercise of leadership in this endeavor, facilitate the belief in personal knowledge and ability to effect positive change in the world. When I went to Foshan, I was so shocked and wanted to do something to help, but I really couldn’t adopt every single baby, so it made me want to help, but I really couldn’t. That’s the feeling . . . [But] this course teaches you that even one person, one child, can make a difference in this world, so it taught me that I have the power to change, like impact the world. For example, we went to Deqing [a trip after the Foshan trip] and I felt very accomplished when I taught the girls English and they gained something from my visit . . . I was like emotionally connected to the students and then after we left, we saw them crying . . . Those tears meant that we actually impacted and changed [them]. like, yeah, you can help, so do it. 18. A commitment is made to continue the journey of social conscience through further self-exploration for the purpose of benefiting society. Given my belief to always seek out the beautiful, positive things in people and my general love for others, I plan to further explore the area of positive psychology in college and use my gifts and passion in this field to understand humanity better and give all that I am back to people in need. Additionally and most importantly, I promise to be a person of integrity, that my work may be completely in line with my actions, my actions completely congruous with my thoughts, and that my thoughts may always reflect my unwavering faith in an all-loving God. At this point, I am still passionate about social justice. [However,] in the last semester, I have learned that without love, what I want and hope to do is impossible. The only way not to be overwhelmed is to love without ceasing. Given this new knowledge, I will do my best to let myself open up more to the people that I want to serve and allow them to become an integral part of my life and identity. 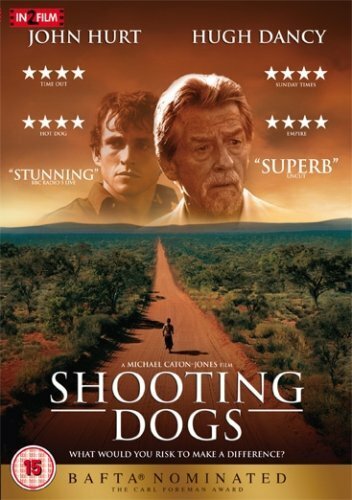 This entry was posted in Uncategorized and tagged human nature, Humanities I in Action, social conscience, transformative education, transformative learning. Bookmark the permalink.